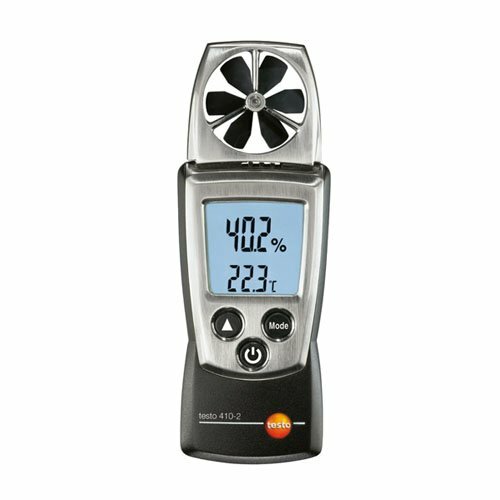 The Testo 410-2 is designed to measure air flow velocity up to 4000 fpm plus temperature and humidity. 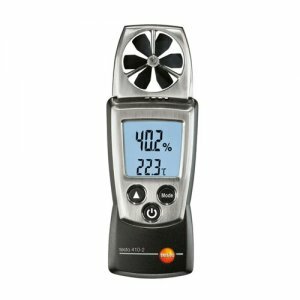 It features Testo's own patented long-term humidity sensor for guaranteed stability and accuracy. The integrated 1.5" vane probe makes it ideal for fast spot checks and timed mean value calculations. This handy meter is quick, rugged and easy to operate and comes with a protection cap and 2 AAA micro batteries.